One day in mid-January, 2010, I was perusing Facebook, playing online word games, checking up on what my friends were posting, when I noticed this message posted from my husband’s co-worker, Wendy: Please Re-Post: my cousin could use your help to find a kidney donor. Please share this link with others. It just takes one person to make the difference – tnx! She had also posted a link to a web page. I re-posted Wendy’s message and then I clicked on the link Wendy had supplied. The link was to a web page set up for Wendy’s cousin, Sallee, and it told the story of her desperate need for a kidney. Sallee had inherited PKD from both of her parents who died from the disease when they were in their mid-fifties. The web page mentioned Sallee had been on the transplant waiting list for close to 3 years, but was running out of time and was hoping to find a kidney before having to begin dialysis. The page also listed Sallee’s blood type, 0+. The blood type jumped out at me because it matched mine. My first thought was that maybe I could help my friend’s cousin. The web page mentioned Sallee’s 2 children in their mid-twenties. Sallee had been in her mid-twenties when both her parents died. Could I possibly stop this cycle? My next step was to research kidney donation. Maybe I really could do this, I found out that our bodies function perfectly well on one kidney, and the life expectancy statistics are the same as with two kidneys. I then had to approach my husband with my idea. I have to admit, he was against it at first, he was concerned for my safety… makes sense. But, he was willing to listen; he had also received the message on his facebook page from Wendy. My two teenage boys were concerned, but also could see the value of giving up that extra kidney. We agreed that I could at least begin the process of testing to see if I could be a match. I took a breath, and emailed Sallee, introducing myself and saying I may be able to help. Sallee sent me the phone number of the transplant coordinator at Methodist Hospital in Houston Texas. I also sent Wendy a message thanking her for posting her message on Facebook. I also had to talk to my boss, I work part time so time off would mean without pay for about a month. My boss and my co-workers expressed their support for my possible gift. 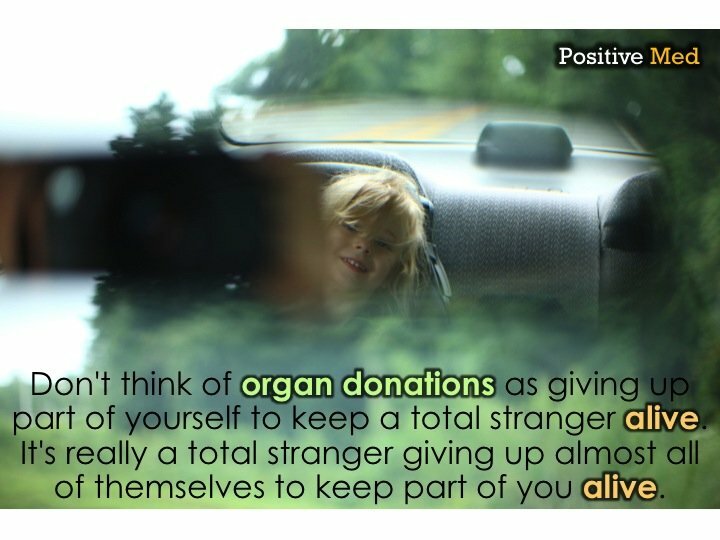 One wonderful discovery that helped me immensely, one of my co-workers mentioned that her neighbor had donated one of his kidneys to a friend a few years ago. I jumped at the chance to talk with someone who had gone through what I was contemplating. I contacted my co-worker’s neighbor and we had a wonderful phone conversation that dissolved any lingering fears I had on what I was getting myself into. Two weeks later, I was in Houston for three days of extensive testing at the transplant center. Sallee picked me up at the airport and I knew immediately that we would be friends no matter what the outcome of the testing. At this point I should probably say that I am not afraid of needles, a very big pre-requisite for what I was facing for the next three days. I passed all the tests with flying colors, but it would take about ten days for the tissue matching results to come back. I flew back home to Kansas City hoping but not knowing for sure if I would be able to donate my kidney to Sallee. After I received the call from the transplant coordinator, things moved swiftly but at a snail’s pace… if that makes sense. I wanted to jump on the next plane to Houston and donate right away, however, it seems that Spring Break was upon us. The transplant center is a teaching hospital so no transplants were scheduled for a couple of weeks. March 30th was the earliest date available. At this point, Sallee’s kidney function was down to about 7%, I was nervous that she wouldn’t make it, but Sallee was determined not to go on dialysis if at all possible. The transplant went right on schedule, no problems, in fact, I really did sleep through the whole thing. As soon as Sallee’s new kidney was all hooked up, it immediately started working and producing urine. Within a few hours, Sallee’s Creatinine levels were normal for the first time in years! The transplant occurred in the morning and by that evening; I had walked a very shaky short distance. I was already well on my way to making a full recovery. Most importantly, Sallee and her children could see a brighter future. In fact, three days after the successful transplant, Sallee’s son proposed to his girlfriend. She accepted. They really make a very cute couple and were married in February of 2011. So here it is February 2012. I’m doing great, in fact, last summer, I completed my first triathlon. So, I think I’m doing really great. When I left Houston to head home to Kansas City after the successful transplant, Sallee’s son came to visit and say goodbye. He gave me a big hug and said :”Thank you for giving my mom’s future grandchildren their grandmother.” That said it all. Sallee’s first grandson was born this winter. I don’t feel like a hero, I’m just a normal person. I can’t run in a burning building and save lives, I can’t climb through earthquake rubble and pull victims to safety. Me, I’m just a 54 year old wife and mother who gave an extra organ to someone who needed it. If I can do it, just about anyone can.